For JANO, we select benefit of natural to make natural cosmetic. Face is the first impression when we meet people. We like our face is youthful skin, brightening, smooth, firm and softens skin. There are many products in the market promise you good appearance when use them. For JANO, we select benefit of natural to make natural cosmetic. It may slowly see result of them, but you don’t worry about side effect that chemical cosmetic make you are. 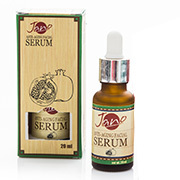 This ANTI-AGING FACIAL SERUM is a highly concentrated pomegranate extract blend of centella, Hamamelis Virginiana Extract and liquorice extract, which has anti-aging effect, helping repair your skin while you sleep. It renews your facial skin and makes it more radiant. Also it use as EYE SERUM to anti wrinkles and fine lines. that why the name is EXTRA VIRGIN COCONUT OIL SOAP. 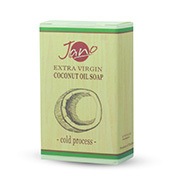 As coconut oil is the queen of oil for younger looking, so this bar soap not only clean your skin, but nourishing skin for younger. It is very good for all skin type, including sensitive skin and can use both your face and body. This bar soap is a baby soap also. helps to removes all type of make-up, including around the eyes and lip. Its contain virgin coconut oil and other lightweight oil which not only deep clean, but also softening, moisturizer and youthful looking skin. 100% natural cosmetic ;Thanakha is traditional cosmetic obtained from the bark of the tree, has been used by Burmese women for 2000 years. Blend with Thai calcium carbonate(Din Sor Pong), turmeric and cultlefish bone. Property is cooling the skin, prevents oily skin, relieves pimple, reduce pigmentation on your face, reduce the appearance of acne and help to remove back head acne. 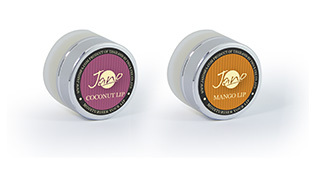 and bee wax, it moisturize your lips for instant hydration and leaves lips feeling soft and smooth.